Too old for dating apps? The internet is now integral to our daily lives. Work, play, shopping and socialising are all increasingly reliant on the connected world. So it’s no surprise that our love lives have been infiltrated by technology. Smartphone dating app Tinder has been downloaded more than 40 million times, with one billion “swipes” per day by users seeking the perfect partner. As with most disruptive technologies, young people have been the quickest to adapt. Online dating apps are mostly used by 18 to 24-year-olds but, if you’re in your 30s, is it too late to date in this way? Methods of finding a partner have changed dramatically over the decades (and indeed centuries). If you’re worrying that this ‘new normal’ is only for those who grew up with a smartphone, remember – digital dating is just the latest evolutionary step. If you do decide to jump into the online dating pool, what do you need to know? Here are some tips to help you get the best out of the digital dating world. A brief, upbeat profile putting across a little about you and your interests should be enough to hook a potential match, without over-sharing. Say what you’re looking for, but don’t let it turn into a long list. Using a witty line is fine, but try not to come across as crass. Your photo is also of primary importance. It’s not only looks that influence decisions here, so think about your outfit and the setting. Outside is better, and a fun activity is a good idea. Make sure it’s a recent image, well lit, featuring your full face – and smile! You can read the full article here; bbc.co.uk/guides/zy63ycw . 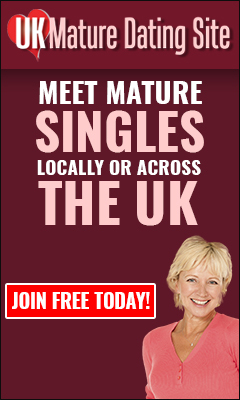 You can sign up to UK mature dating site free by clicking here.